Many people are aware of the physical side effects of phentermine including headaches and constipation, but it can also cause psychological side effects. While depression is one of the least common side effects, it is still felt by a lot of people. We hear all the time from people suffering from depression on Phentermine. If you’re someone taking phentermine and you’re experiencing effects including having a low mood, disinterest, hopelessness, and sadness, you should know that you aren’t the only one. Today we’ll be taking a look at how phentermine causes depression and what you can do about to improve your phentermine experience. How does Phentermine Cause Depression? One common belief is that phentermine causes depression through how it interacts with neurotransmitters in the brain. To put it simply, it overstimulates them. This can cause euphoria and positive feelings for some people. Unfortunately, the overstimulation can sometimes lead to negative effects, including depression and low mood. Another theory one why phentermine causes depression is that, as phentermine works as a stimulant, it can boost your emotions as well as energy levels. Amplifying feelings and emotions will boost how you respond to situations to extreme measures including depression and anger. As such, people who have had depression problems in the past may be likely to suffer from depression as a result of phentermine use. Even so, sometimes patients with no history of depression will sometimes suffer from it as a result of phentermine use. The third and final potential cause for phentermine depression is that the dramatic weight loss caused by phentermine can affect your hormone levels. Losing weight rapidly fluctuates hormone levels as how much estrogen is released is partly determined by the amount of fat cells in your body. Fluctuating hormone levels can cause depression and low mood, which is why women suffer from these issues when going through pre-menstrual syndrome (PMS), pregnancy, perimenopause, and menopause. If you do suffer from depression as a result of phentermine use, then these steps can help you manage it and reduce the effects. You should discuss your feelings with someone close to you and have someone to confide in. There isn’t always a reason that you suffer from depression – nor is there always a solution – but there’s always the chance that you have depression for some other reason. Giving voice to your thoughts and feelings and sharing them with a friend that understands you can help put everything in perspective and stop you from feeling alone. You should understand that phentermine may be amplifying your emotions, but this doesn’t make the depression less valid. If you don’t want to openly discuss your phentermine use with those in your life, you can use our forums to connect with other phentermine users. These users may be suffering from the same side effects as you. If you’re still not ready to share your feelings, even in an anonymous online forum, then you could write your emotions out to make them more tangible. After you’ve done this, you might be better prepared to share your feelings with someone. It can be quite cliche, but even an intense challenge can seem much more easily overcome after you have some rest. If we don’t get enough sleep, it leaves us feeling mentally exhausted as well as physically. That makes even a small problem seem much more intense. Studies have been done to look at the correlation between depression and sleeping enough. They show us that having insomnia makes you ten times more likely to suffer from depression. This is why one of the side effects of phentermine – insomnia – increases feelings of depression. Start by combatting your insomnia and ensure that you talk with your doctor if you continue to suffer from insomnia. Your doctor may want to alter your phentermine dosage to help minimise the side effects. In somewhat of a vicious circle, depression can cause sleeping problems which only make depression worse. Depressed patients can find themselves unable to fall asleep, while others are more fatigued and actually sleep more than usual. Phentermine is supposed to increase energy and motivation. If you feel that your sleeping patterns are changing and that you are more tired than you used to be, you should consult with your doctor and get their advice. Exercise is one of the best ways to boost your mood. Going through a good workout releases plenty of feel-good endorphin. Exercise comes with lots of great benefits including losing weight. Exercising while taking phentermine also helps to reduce depression levels. One particular study found when depression sufferers perform aerobic exercises their depression symptoms improved just as much as those who take medication. The best thing is that these benefits can be noticed almost right away. Exercising for just 20 minutes can make you feel more positive and boost your mood. You don’t even need to do an intense workout. Find an exercise that you enjoy doing and you’ll be riding the highs of exercise for hours. We really are what we eat. Your diet can have a larger impact on your life than you might think. Most of us will turn to comfort foods such as fried foods and ice cream when we feel low. This is a form of emotional eating that is actually bad for your overall physical and mental health. Rather, it’s best to get plenty of foods that make you feel good including Brazil nuts, bananas, whole grain pasta, oily fish, yogurt, lentils, eggs, spinach, and dark chocolate. What makes these foods so great for your mood is that they contain plenty of beneficial minerals and vitamins including magnesium, selenium, and B vitamins. These boost your levels of serotonin and improve your mood. You might also want to consider taking a supplement to improve your vitamin levels while eating a calorie-controlled diet and taking phentermine. One of the best supplements to improve your mood and boost phentermine effectiveness is 5-HTP. Taking it alongside phentermine boosts your overall results. You must place your own health and wellbeing a priority, especially if you are struggling with negative feelings and a low mood. You should find ways to treat yourself that don’t involve eating comfort food. Have a nice soothing massage. You should also avoid taking on too much; learn how to say no to people and use a to-do list to keep track of the most important tasks. Your depression can be influenced – and indeed worsened – by stress and anxiety. Take some steps to reduce your stress levels and follow stress-management methods. Your stress levels can be improved by doing something simple like listing to music you enjoy and finding a relaxing hobby. Study says reducing your stress levels can also contribute to weight loss. Stress can affect your levels of cortisol and stimulate feelings of hunger. It doesn’t matter what causes your depression; whether it is caused as a side effect of phentermine use, or manifests as some deeper issue, there are times when you aren’t able to manage it by yourself. Phentermine side effects will typically go away after a few weeks at most. You should consult with your doctor if your feelings of depression continue after a few weeks pass. Your doctor may be able to alter your dosage or change your medication to do something about your depression. If the depression still persists after making these changes, then you should consider seeing professional help. Talk to your doctor and ask their advice, or ask them to refer you to a psychologist who can help treat depression. If you find the depression side effects of phentermine difficult to deal with then you might want to consider switching to a weight loss supplement. If you’re looking for a good weight loss supplement, we would have to recommend Phen375. This supplement suppresses your appetite and boosts energy levels, but without the potential side effects and health risks of phentermine. 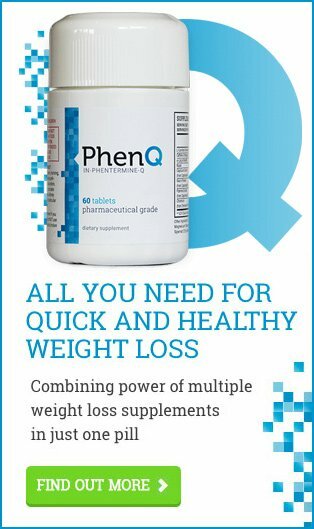 Phen375 is the most popular phentermine alternative that can help you get the results you desire without any of the negative side effects of phentermine. Last updated: October 7th, 2017. Bookmark the permalink. Can Acne be Caused by Phentermine?